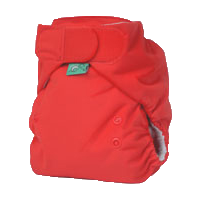 Tots Bots EasyFit All in One Diaper alleviates the need to find matching liners because its liner is always attached for a quick and easy stuff! Tots Bots EasyFit STAR Diaper - A Stuff and Go All In One! The Tots Bots Easy Fit STAR Diaper is basically an all in one, pocket diaper, but with the benefits of a two piece diapering system. The added efficiency is found in the innovative design of an attached liner (insert), saving Momma from the frustrating, time-consuming task of digging through the diaper laundry to match up inserts with their diaper. The attached liner of the Tots Bots Easy Fit diaper is attached on one end only, making it quick and easy to stuff into the Easy Fit pocket, but then, it easily pulls out for a thorough cleaning in the wash and a fast dry in the dryer. An Award-Winning Diaper, Made Better! 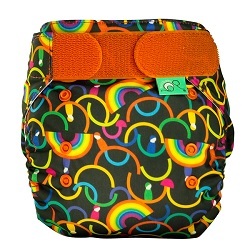 The award winning Easyfit from TotsBots just got better, the latest version has a silky bamboo absorbent core. This is a welcome return of the much-loved feature of bamboo next to baby’s skin, striking the perfect balance between softness, absorbency, drying time & urability. Expect Versatile Absorption in Easy Fit's Thirsty Liner! The new Easyfit says goodbye to synthetic fibers and features a silky bamboo core. Contain Leaks - Increase Ease and Convenience! Protective side-guards sewn from soft brushed polyester are anti-wicking and prevent wetness from compressing out the sides and a waterproof outer layer keeps wetness IN where it belongs. 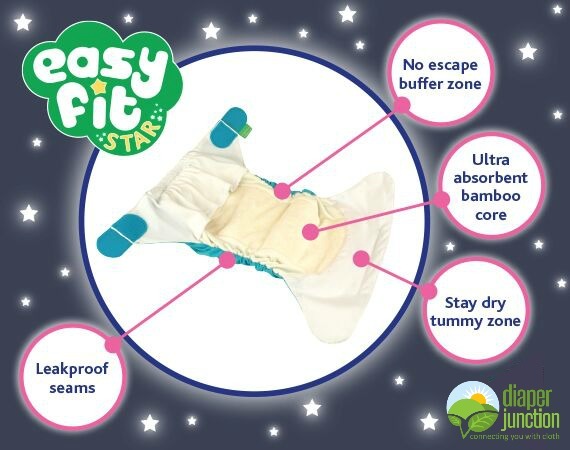 The Tots Bots Easy Fit STAR Diaper was designed top to bottom to contain leaks and be easy for parents and caregivers to use! A snug fit for babies of all sizes, the Easy Fit STAR Diaper also has generously sized Velcro-type closures and fold-back laundry tabs. 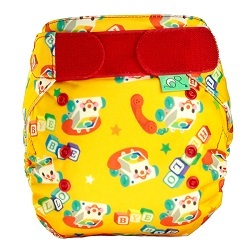 The Easy Fit Pocket Diaper is ethically produced in the Tots Bots factory in Glasgow, Scotland. The rayon from the bamboo fibers is Oeko-tex certified (as are the color dyes). Environmentally friendly in their production, the Easy Fit Diaper is manufactured with a "closed loop" system which recycles water and chemical output to ensure sustainability. I was very hesitant to try this diaper due to reviews, but it held way more than I was expecting and its a great fit everytime, we dislike velcro a lot, but love the Tots bots aplix. I purchased this diaper for my husband, as he prefers hook and loop. This is very high quality and absorbent diaper! The velcro is top notch and has held up extremely well over at least a year of use. This is a great diaper for daytime, and works well overnight with an additional insert (it's very easy to add additional absorbency). I like how soft this diaper is (we never get red marks from it) and that the elastics are rolled. The bamboo tends to stain more easily, but I feel that's true for all my bamboo products. I definitely recommend this diaper! These are soft and convenient with the velcro but fit a bit big on my baby. I have only purchased one Easy Fit so far, but it will NOT be the last. I love this diaper. The fit is great, the absorbency is great, and I love the sticky velcro. It makes diaper changes so much easier when you have a wiggly 10 month old. I am so happy I stumbled upon this gem!